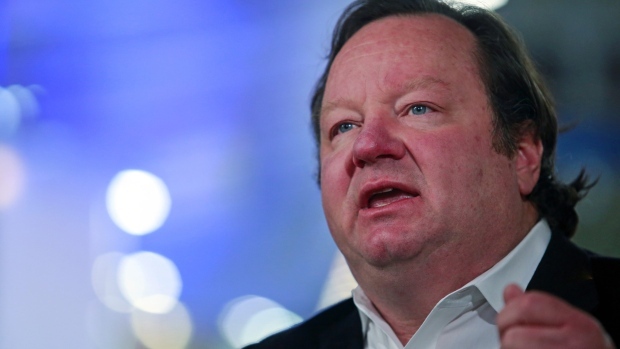 Viacom Inc. (VIAB.O) Chief Executive Officer Bob Bakish, facing fresh speculation that his company will be absorbed by CBS Corp. (CBS.N), said there’s no big deal on the table right now. In fact, Viacom is focused on making its own acquisitions. Bakish sees an opportunity to pick up smaller companies and hire more talent while his rivals are distracted by larger transactions. Bakish recently acquired AwesomenessTV from Comcast Corp. and tasked its co-founder, Brian Robbins, with executing a turnaround at Viacom’s kids channel Nickelodeon. Bakish also is launching niche video-streaming services based on the company’s existing content library such as Comedy Central Now. Viacom’s approach contrasts with the megadeal strategy of AT&T Inc. (T.N), which acquired Time Warner (TWX.N) for US$85 billion, and Walt Disney Co. (DIS.N), which is spending US$71 billion to buy the entertainment assets of 21st Century Fox Inc (FOXA.O). Viacom and CBS have previously pursued a merger of the media companies, which are both controlled by the Redstone family. The New York Post has reported that CBS board is gearing up to renew talks with Viacom, with a deal coming in three to six months. But Bakish brushed off the idea that he needs to find a larger partner. New York-based Viacom is turning around its Paramount Pictures film studio and its MTV cable channel, both of which are under the direction of new managers, Bakish said. The company is selling more original programming to online video providers, such as Netflix Inc. and Facebook Inc.
As part of a strategy to deepen its ties to the live-events business, Viacom has purchased the companies behind the SnowGlobe music festival in the South Lake Tahoe, California, and the VidCon conference in Anaheim, California, Bakish said.